Summer means heatwaves, thirst-quenching iced drinks...and, yes, water ring stains on your wooden tables. Summer also means bored and antsy kids on school break! 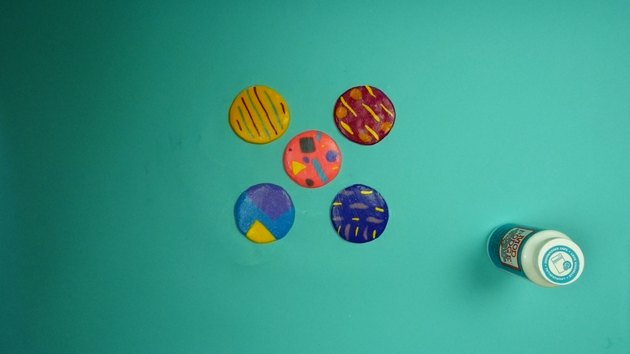 Well, what if we told you that we've got a creative arts and crafts project that will both protect your furniture from condensation and keep your restless kids from climbing the walls? You'd be all over it, right? Yup, that's what we thought. 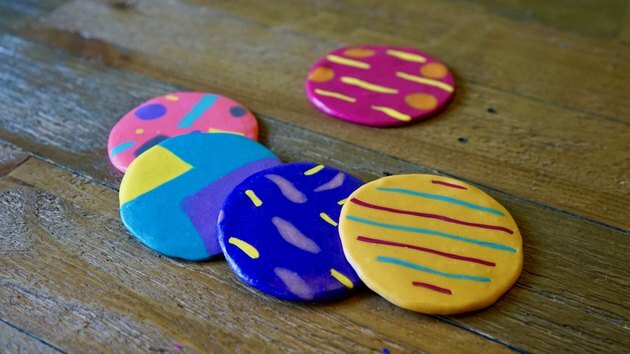 Not only are these colorful polymer clay coasters super fun to make and practical to have around the house, they'll definitely exercise your artistic skills. eHow may earn compensation through affiliate links in this tutorial. 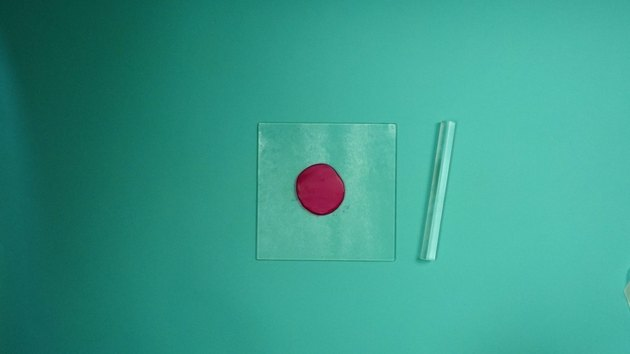 Start with a 1.5-inch ball of clay in your first coaster's main color. 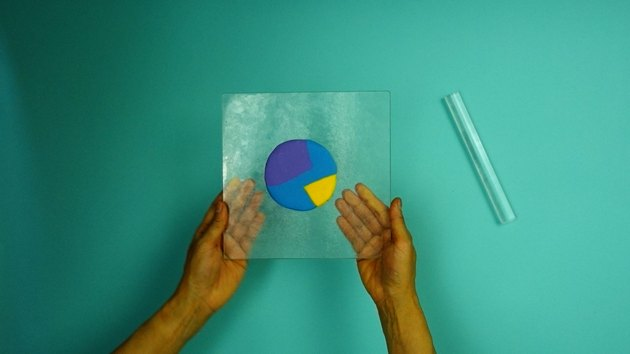 Use your acrylic roller to flatten it into a circle about 2.5 inches in diameter. Now the artsy part! 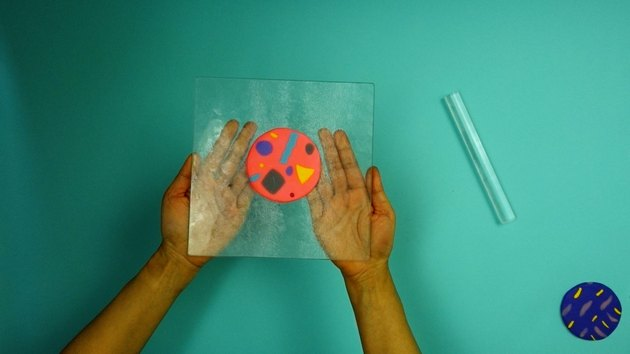 Create an abstract design by taking smaller pieces of clay in contrasting colors and form them however you'd like — for example, small balls to make dots, "worms" to make lines, or cut out geometric shapes using a plastic knife or fondant cutters. For ideas, have a peek at the various designs shown in step 3. 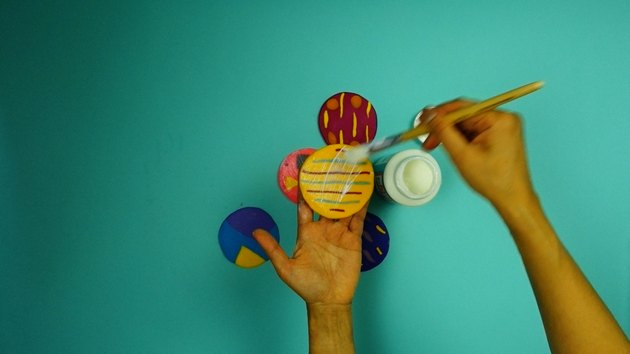 Next, set these smaller, contrasting-colored pieces gently on top of the circle in an eye-pleasing configuration. Make sure not to press the pieces into the surface of your coaster until you're satisfied with their arrangement. 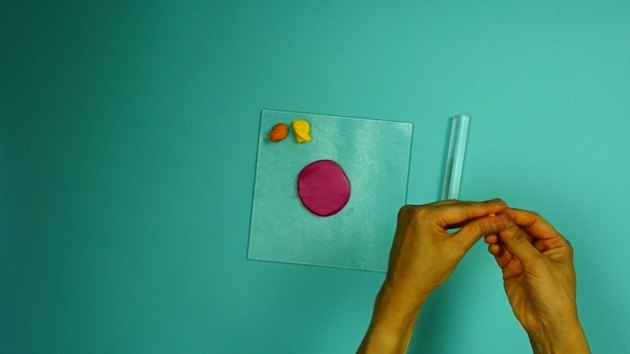 Once you've squashed two colors together, it'll be impossible to separate them! For the coaster pictured here, we chose a design of dashes and dots, but of course you can do whatever you'd like. 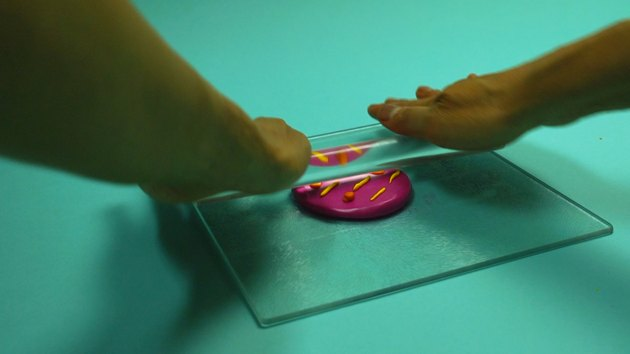 It's important to note that you'll be flattening out the coaster with the roller, so the design you create will expand out to about three times its size. Make sure to account for that expansion when you're planning out your design. 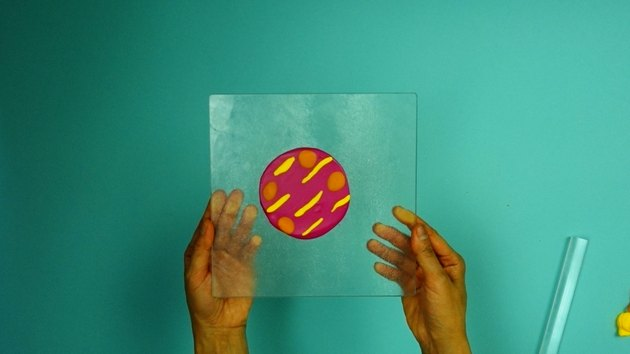 When you're happy with your design, use your acrylic roller to slowly and evenly roll out the coaster until it's about 3.5 inches in diameter and .25 inches thick. 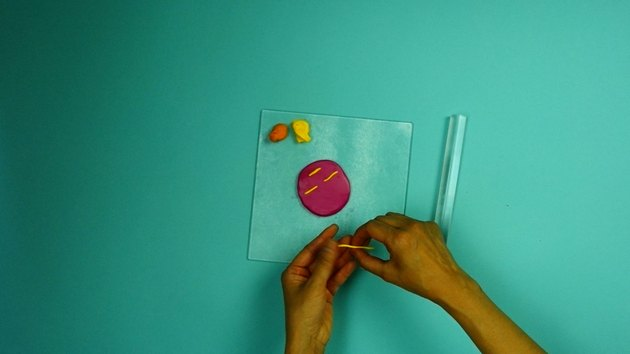 Your first coaster is ready for the oven! 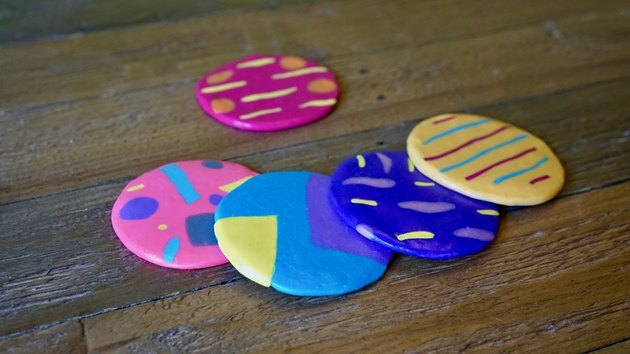 Now it's time to cure your polymer clay coasters in the oven. 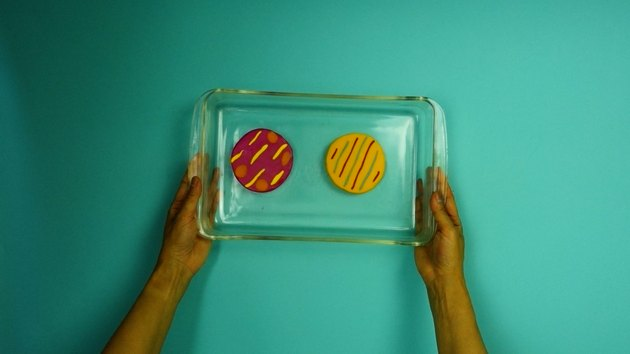 Place your coasters on a glass or ceramic baking tray. If you also use the tray for food, line it with a piece of parchment paper first. 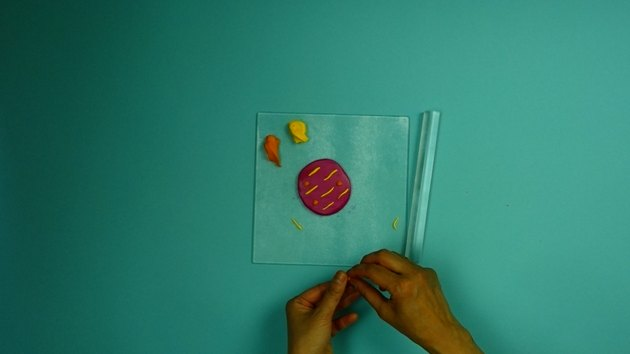 Temperature and baking time vary depending on the brand of polymer clay you use, as well as the thickness of the coaster. Follow the product manufacturer's instructions. Ours required a temperature of 275° F, for 15 minutes. 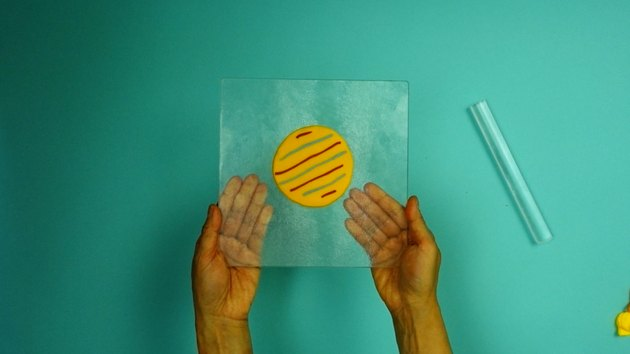 Once baking is complete, allow the coasters to cool down completely before proceeding to the next step. 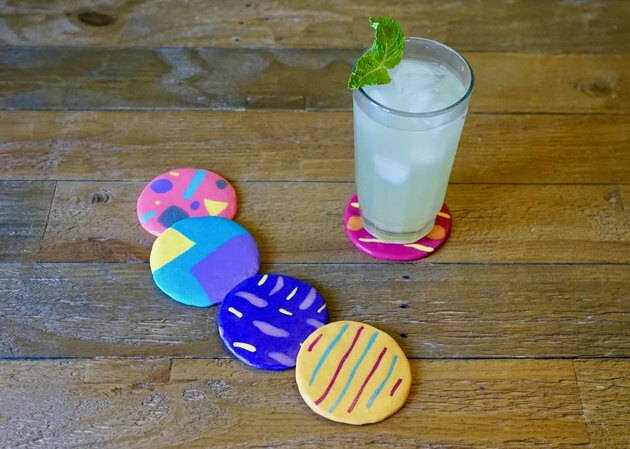 Your coasters won't be entirely firm straight out of the oven, but don't worry — they'll harden once cooled. 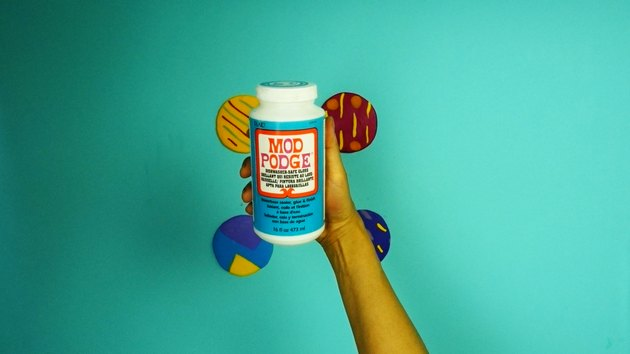 Now it's time to seal and protect your polymer clay masterpieces using dishwasher safe decoupage medium to protect it from moisture and allow for easy cleaning. Although we advise using dishwasher safe sealing medium, we do NOT recommend cleaning these in the dishwasher, as the heat may damage your design. 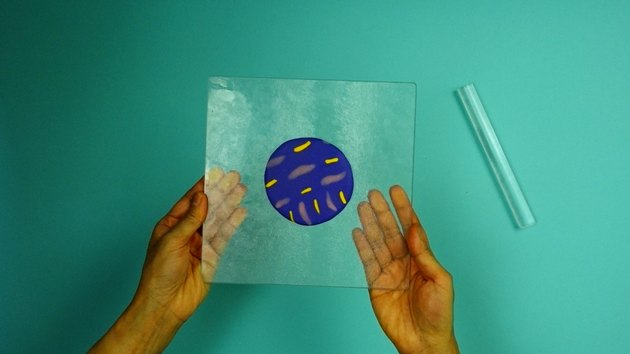 Simply wipe off your coasters with a wet rag. Following product instructions, apply 2 or 3 coats to the top of the coasters, allowing the medium to dry completely between each coat. 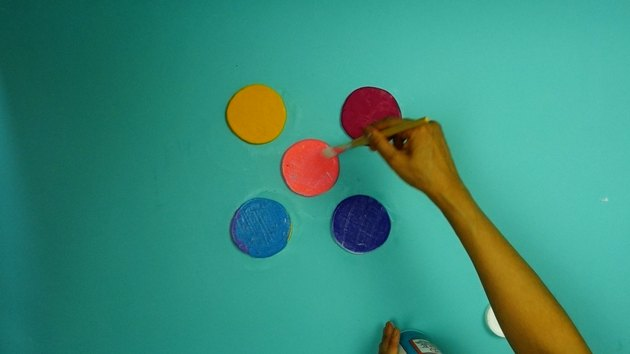 Once you've finished sealing the tops, flip them over and repeat this sealing process on the underside of each coaster. Once you've applied your 2nd or 3rd coat, leave to dry completely. And that's all it takes! 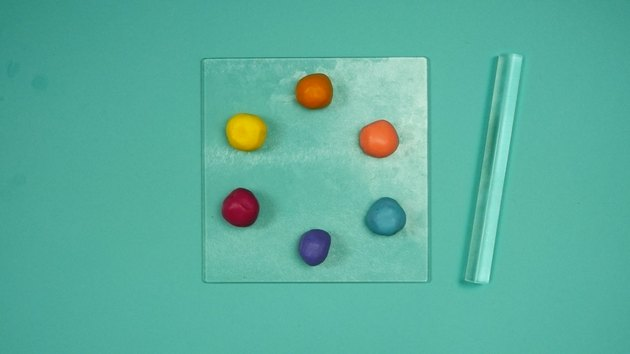 How cute are these colorful little guys? They're like a party on a tabletop.